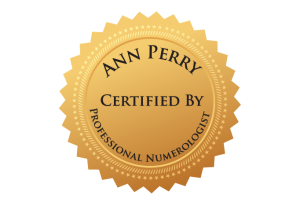 This workshop is designed to teach you the basics of Numerology while working on your chart. I call it an "Experiential Reading" as it is in fact a reading but it expands over 4 weeks so that you can fully understand your chart and also start working on charts of people you are interested in too if you like. I learn better by doing. I think most people do! Each week I teach a different topic. This week gives you a great beginning to speaking numbers. You will begin to associate various traits with each number which can be applied to all sorts of areas! Really fun! This week we learn why you chose your expression number and how it can benefit you and your life path. We explore all Expression numbers from 1-9 + master numbers. We also explore the “bonus” day which is your birth day. The birth day holds some hidden value as well. Week 3: Heart’s Desire & Karmic Debts. This week we discover your heart’s desire. What makes you happy? What is it you should focus on to bring your life fulfillment? We explore each Heart’s desire number from 1-9 + master numbers so you’ll have a full understanding of them. Karmic debts anyone? Let’s see if you are working on any karma from previous lifetimes! What bad behavior are you paying dearly for in this lifetime?! Week 4: The 9 year epicycle. Which personal year are you in? How is it affecting you and how can you get the best from it? How is your birth name affecting this experience? We also explore trends that you have experienced in your past that ummmm…left a mark! When did they start? When did they end? What were you meant to learn from them? SUPER interesting!!! Because this work attracts a global clientele, fees are charged in US dollars. Canadian clients please note, for ease of booking you are charged in $US. I will incur the tax that would normally be applied to that fee. 8 hours of uninterrupted individual attention from me! Certificate of Completion via PDF document. Email access to me during your course so all of your questions get answered.